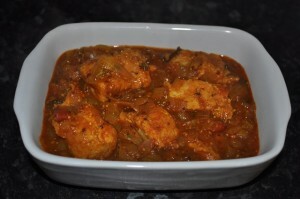 Fish Hara Masala Salan recipe by noorie at DesiRecipes.com. 2-3 stems green or spring onions. Add all dry spices into oil n fry on low heat till they give a strong smell n change colour. Pour the mixture in the heated oil n raise the heat. Cook till its completely done n all water dries up. Add fish n lower heat immediately. enough to tender fish and maintain consistency of salan. Turned out great, tks got sharing! I hope that is 3 -4 chilis, not 34!